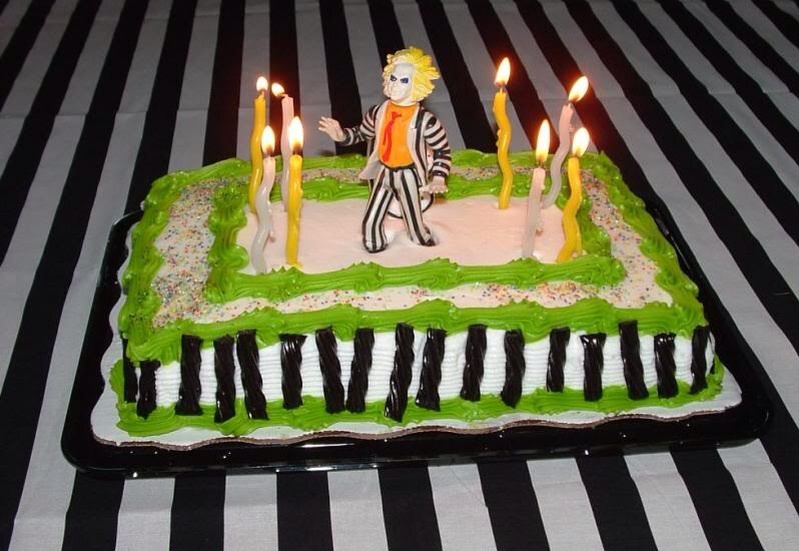 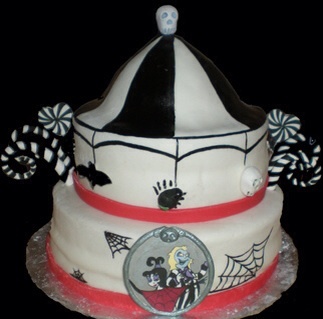 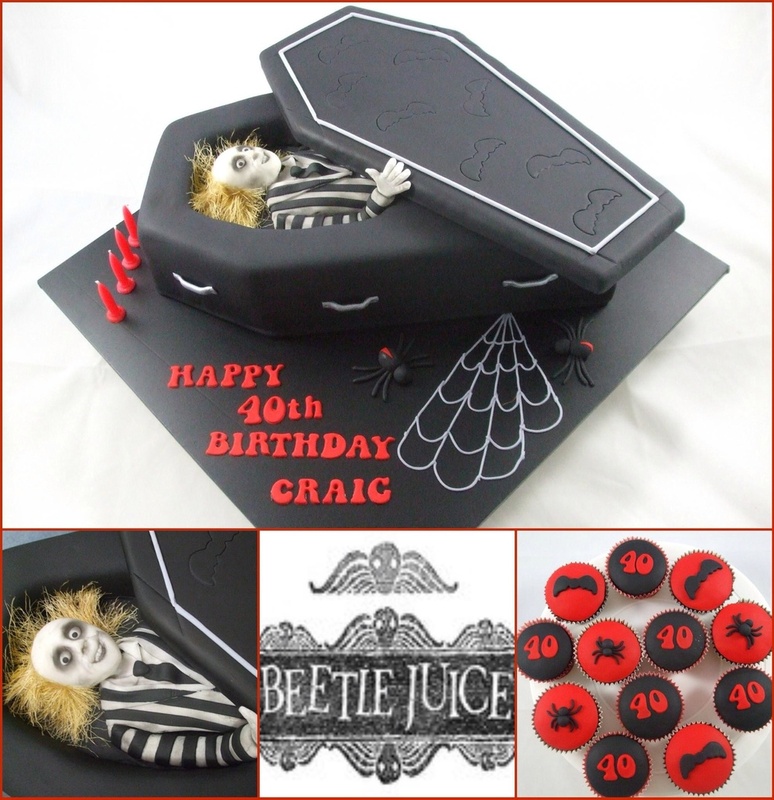 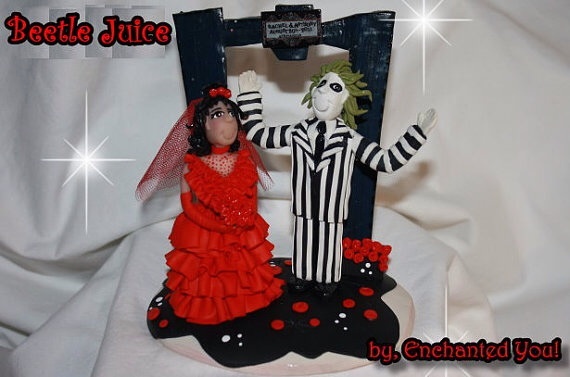 Some of these creations simply use action figures as cake toppers and employ the black & white Tim Burton standard, striped, colour scheme. 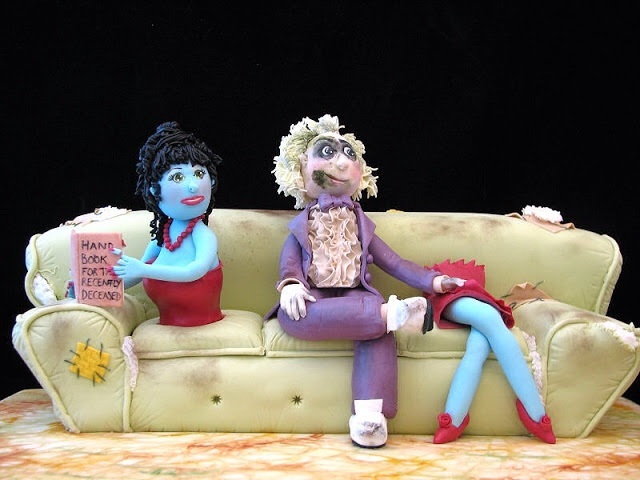 Some, like the waiting room cakes shown first, are just works of art in themselves. 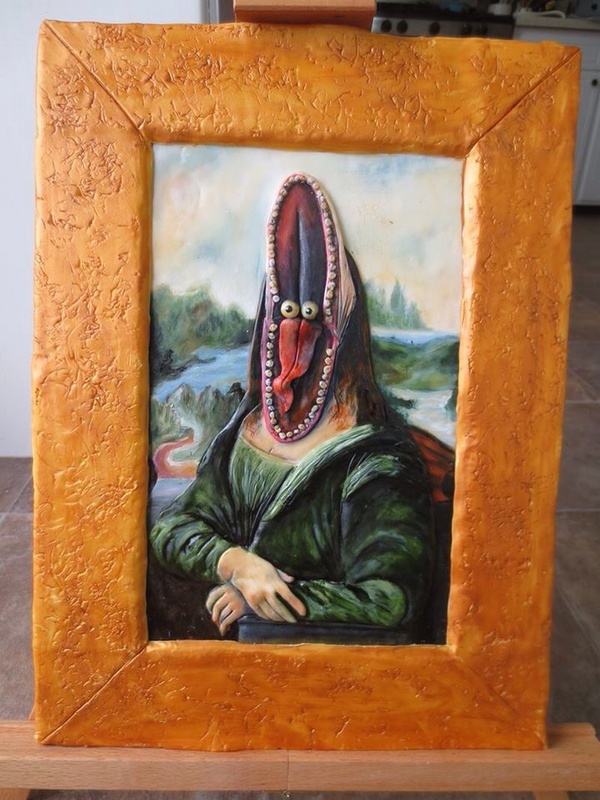 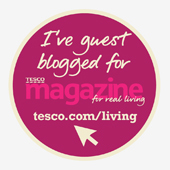 Is this one a lasagne though? 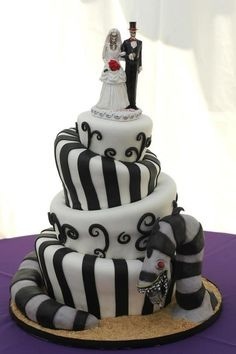 Simple, but clean looking and effective. 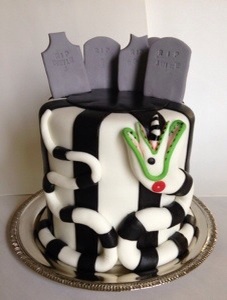 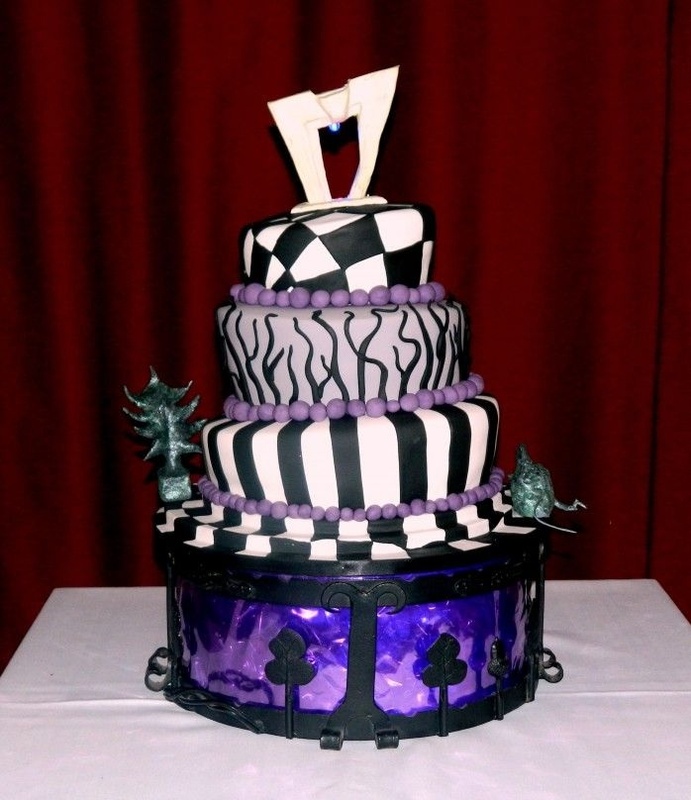 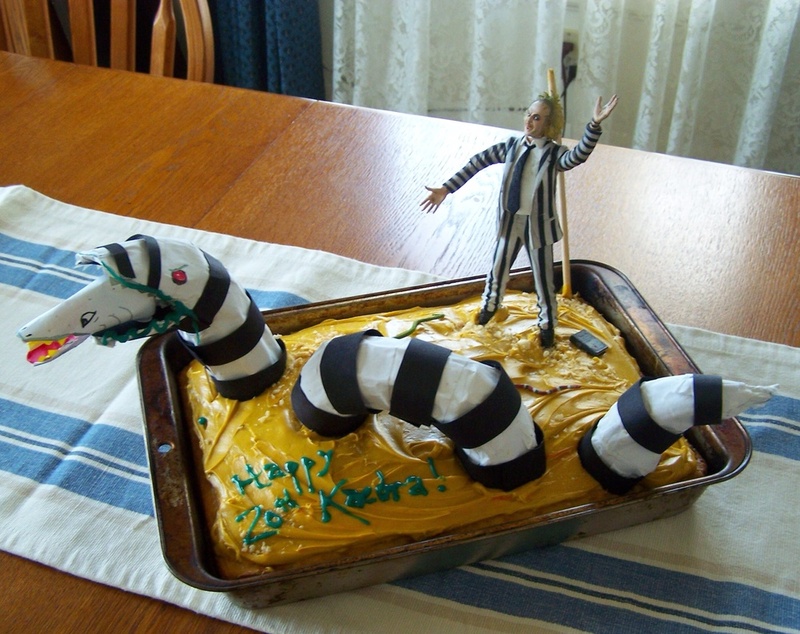 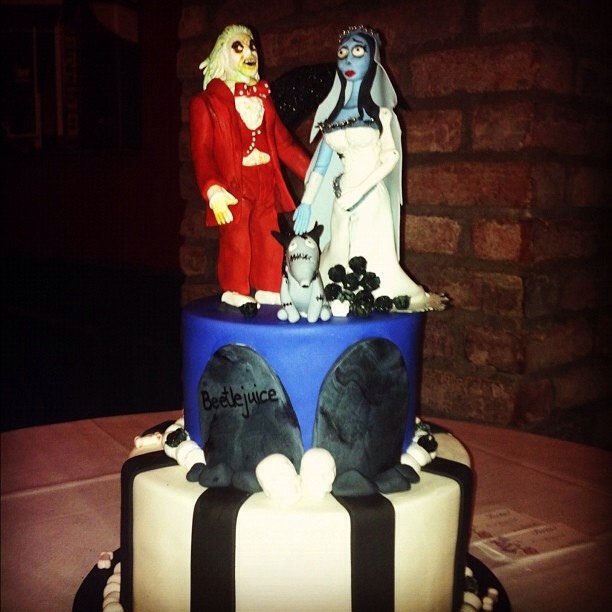 I kind of wish I'd thought of having a Beetlejuice wedding cake now. 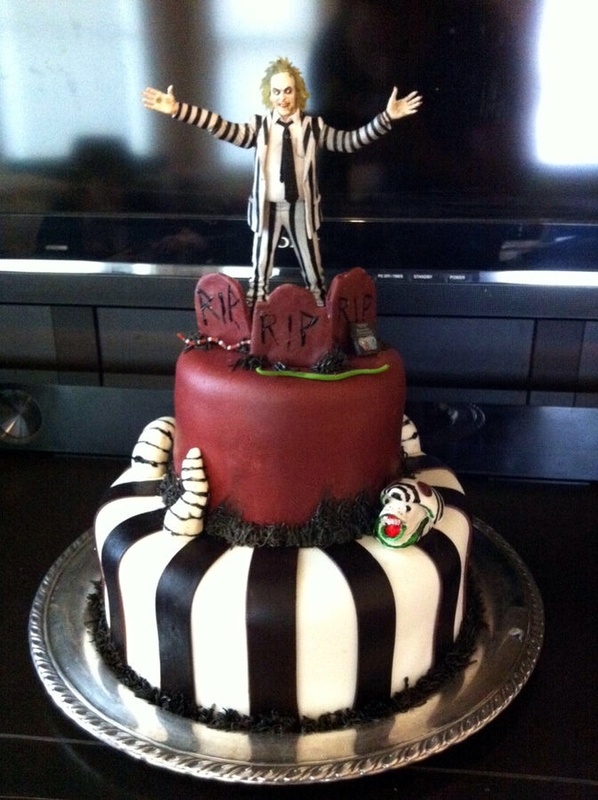 If I say his name three times, does cake appear?